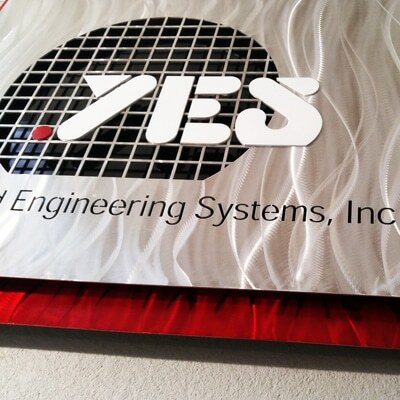 Custom metal signs with cutting edge creativity. Modern Metal signs was established by a renowned metal artist & sculptor to represent your business in a fresh exclusive way. We specialize in creative signs for businesses and more. 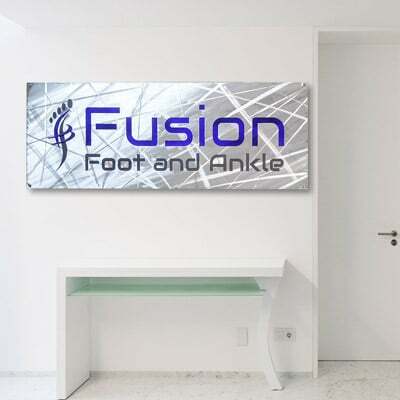 Quality Creative Modern metal signs for businesses and more. Modern Metal Signs is different than your average sign shop. 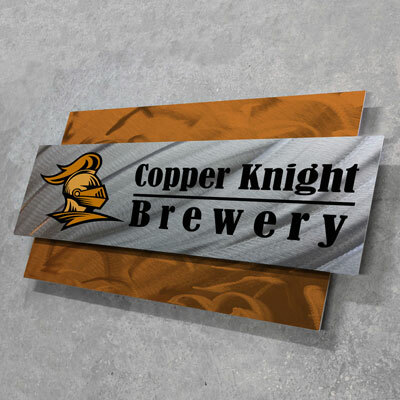 We design creative metal signs that suit your brand with a unique creative modern style. 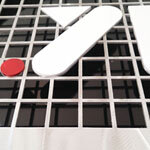 Each custom made sign features patterns in the metals used. 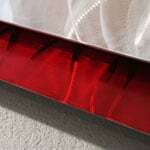 The layers create depth for a dynamic appearance. 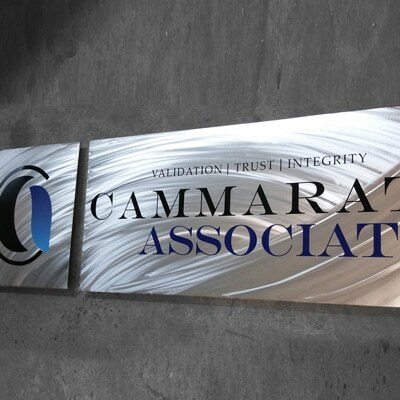 Your custom metal sign will last decades created from the best metals available. Stand out from the typical business sign. Get a metal sign that is modern and unique. 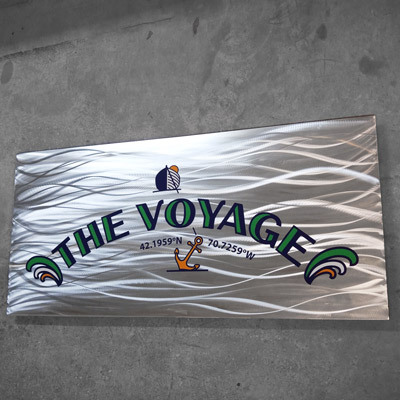 Contact us to get a free rendering of your new custom metal sign. We can display your logo in an ultra durable exterior grade vinyl that is also clear coated for ultimate clarity and protection. 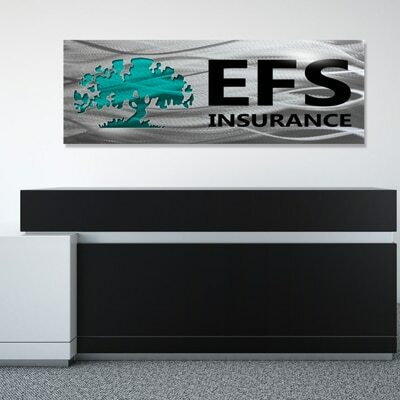 Using the best technology to cut through the metal, our metal signs create a layered look to add more appeal and depth to your branded metal sign. 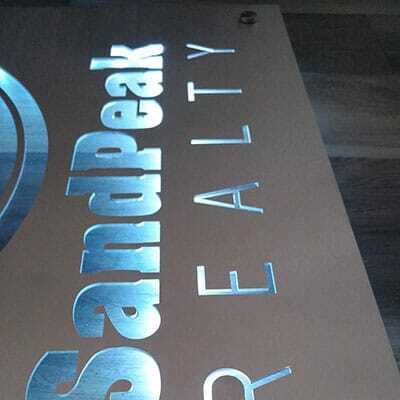 Not only do we use lights and laser cut, but we like to add depth to your modern metal sign by using layers to add that modern pop. 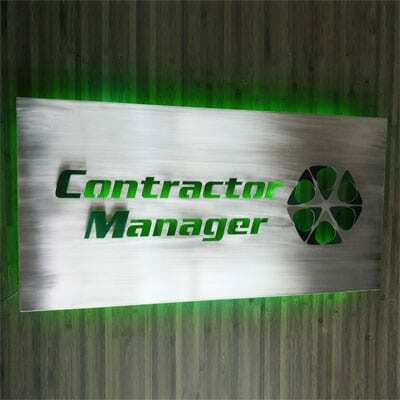 Your custom metal sign can also catch more attention by having us install custom LED lights to backlight your sign. 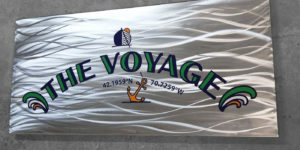 The design of your custom metal sign is just as important to us, as it is to you and your viewers. 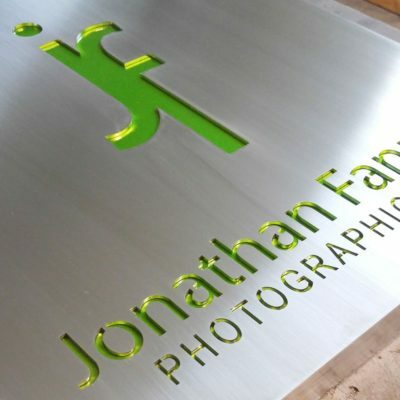 We use modern techniques to create metal signs that are a work of art. 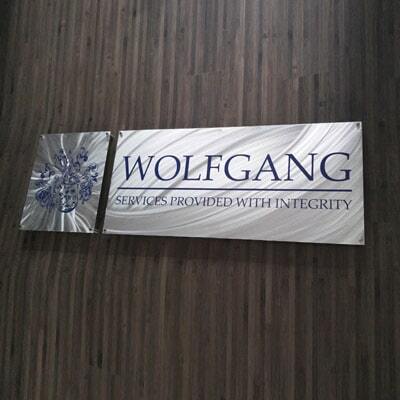 Modern Metal Signs uses top quality rust and corrosion resistant metals only that are professionally coated. 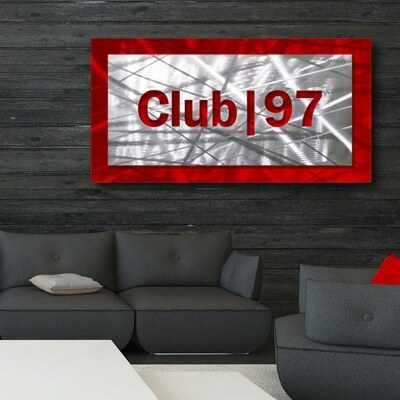 We provide a digital rendering preview of your custom metal sign before it is created. There are just a few easy steps to get your sign project started. Let us know the approximate size of the space and where it will be placed. 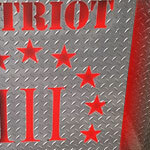 If you have a size in mind for your custom metal sign please tell us. Also if it is going outdoors or needs mounting. Tell us about any style or colors you prefer if you have a preference. 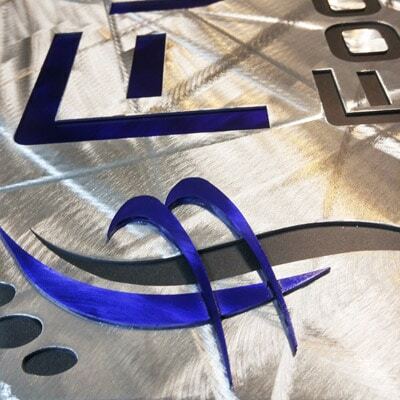 We create a custom metal sign designed to fit your logo or brand. Send us the best quality image file you have of your logo or design. 5. We send you a quote that includes a breakdown of the cost and details about your custom metal sign. After it is approved we begin creating your new modern metal sign. We take only 2-6 weeks to complete and ship your sign! Visit our process page for more information and frequently asked questions. "Wow! This sign is impressive! It makes a statement about our company! Exactly what our lobby needed! Beautiful metal work! Everyone loves it! Great seller to work with! We purchased 2 of these signs. Very solid and a well designed piece of art. Love it!" "Great sign. Hanging in my waiting room. Real eye catching and I have had several compliments on it already. Reasonably priced as well!" "We wanted a sign that was different and didn't know where to go. We found Modern Metal Signs online and were impressed right away. Once we got our modern sign mounted it fit right in with our modern complex. 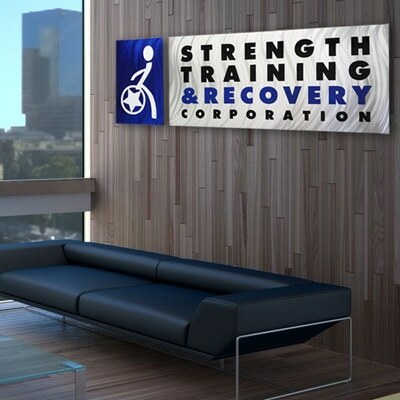 Highly recommend these guys."